How to clean coffee stains? Here's how - dial 020 3746 3201 or send us an online inquiry. We are available 24/7 to give you a free offer for carpet cleaning. Get your soft floor cleaned today! Better Cleaning Company began its expert carpet cleaning service a decade ago and over time we have become the top desired carpet cleaners in Balls Pond Road N1. 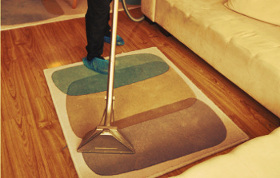 Our reliable cleaning services company can have all carpet types cleaned in a safe and professional manner. Our services are fully covered by insurance. We use professional cleaning machines, equipment and solutions. On demand, we can apply carpet deodorant and stain protection spray too. For a cleaner and prettier carpet - order our expert carpet repair service now! Our trained cleaning technicians will check your carpet, test all detergents on a hidden and small spot and will hoover the carpet before continuing with the stain pre-treatment and the deep carpet cleaning. Deep carpet cleaning can be either dry carpet cleaning or steam carpet cleaning Balls Pond Road. Both are highly efficient carpet cleaning methods. If your carpet can be safely washed, our steam carpet cleaners will shampoo and clean it with the help of hot water extraction device. For natural or delicate synthetic carpets, our dry carpet cleaners will perform a dry compound cleaning which doesn’t involve the use of water. Carpet Care Done By The Best! We Treat Them All! As leading carpet cleaning Balls Pond Road N1 experts, we offer weekend and public holiday availability and a simple booking system to all local businesses and people. We are available every day of the year, and the earlier in advance you make your reservation, the better price you will get. Regular customers, estate agencies and landlords too get preferential prices for our local . We give up to 15% discounts for every additional service you order along with the carpet cleaning. Call now - 020 3746 3201!